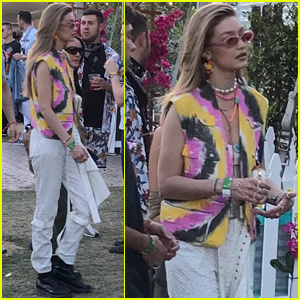 Gigi Hadid Is Happy To Be On The Cover of ‘Vogue Australia’ | Gigi Hadid | Just Jared Jr.
Gigi Hadid wears a cute maxi dress while stepping out on Tuesday (June 19) in New York City. The 23-year-old model matched her dress with a pair of brown flats and a light blue purse. Gigi graces the cover of the July issue of Vogue Australia, and she opened up about how excited she is to return to the mag. “So happy to be back on the cover of @vogueaustralia (available June 25th!) love this story by @giampaolosgura … & love the interview by @zara_wong_ :) … x Big thanks to the whole team! ❤️,” she wrote on Twitter. Check out some excerpts from her interview here.